Small and picturesque, Gargnano’s slightly awkward position on Lake Garda, nestled with its back right into the mountains, means that it has escaped the worst kinds of tourism development and is still a charming hamlet. The marina is still small and most of the shops and restaurants are within a few hundred metres of the waterfront. 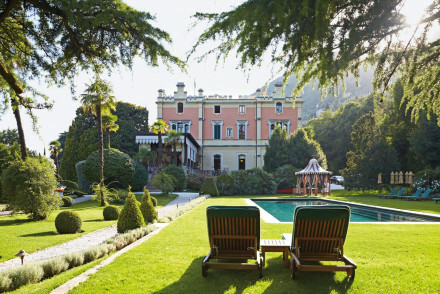 Some of our Guru’s recommendations for the best places to stay in Gargnano are ‘in’ town, but the majority of the best places have been converted from stunning aristocratic villas which surround the town offering views of both the lake and the mountains. Quiet Gargnano has narrow, winding streets dating from medieval times and a large church - considering the size of the town. Gargnano also has a former convent of St. Francis and an impressive town hall built in 1581. The surrounding land is taken up with fragrant gardens, orchards, and olive groves, many lined with historic stone walls. And it’s been quite a wealthy, comfortable place, hence the number of beautiful villas now converted to hotels. Part of the pleasure of visiting Gargnano is the feeling of having a pocket of the lake to your self. There are plenty of walking trails and it’s worth strolling over to Bogliaco to see their church, home to some exceptional 5th Century artefacts and some notable paintings. The nearby Villa Fletrinelli, which is where Mussolini lived during the period of the Republic of Salò is worth a look. Our pick of the best places stay in Gargnano range from an elegant B&B to no-holes-barred, top notch luxury! The Villa Giulia is a handsome Victorian villa right on the water’s edge with 23 light, airy bedrooms and some lovely original decorations. 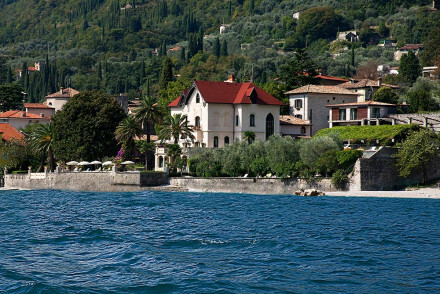 Between the villa and the lake are beautiful, fragrant gardens. The villa is peaceful and the views are spectacular. The Villa Feltrinelli is another beautiful aristocratic villa conversion with 21 rooms boasting restored interior and antiques, beautiful fabrics and paintings. There’s also a Michelin starred restaurant. 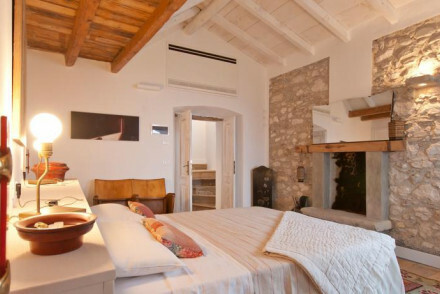 Situated in a tiny village above the lake, you'll find the charming B&B Loggia Marti. The four bedrooms are super stylish and cleverly blend traditional with the contemporary. It's exceptional value. Doubles start from just €90 per night including breakfast. 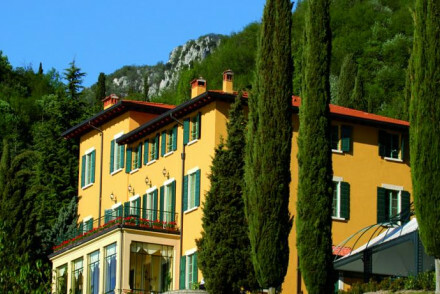 Converted from an old hunting lodge, the Villa Sostaga is now a 19 room hotel surrounded by 40 beautiful, green acres overlooking Lake Garda. A homey atmosphere and some very nice antiques make this a peaceful retreat with plenty of charm. 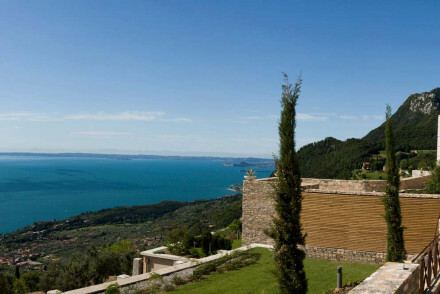 The Lefay Resort & Spa is a spectacular spa resort overlooking Lake Garda. There are 90 contemporary rooms and suites, some with private hot tubs and sun decks, plus there are indoor and outdoor pools, an excellent organic restaurant, a meditation garden and beautiful parklands. Gargnano is on the north-western shore of Lake Garda, positioned between several international airports: Verona-Villafranca and Brescia-Montichiari. But it’s also about 100kms from Venice Marco Polo airport and from Milan’s Linate and Malpensa. The nearest railway station is Desenzano. Gargnano enjoys a mild, temperate climate with four distinct seasons, summer being the most popular time to visit. Between June and September temperatures are in the mid 20s and you get nine of ten hours of sunshine a day. Late spring, when it’s starting to warm up again, is considered the optimum time for walking holidays. 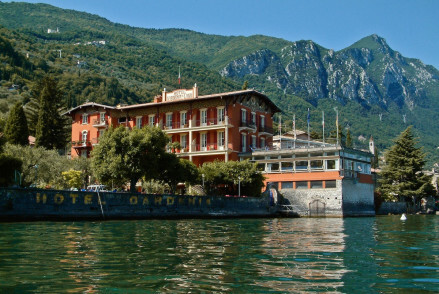 Or the best hotels with a view on Lake Garda?